If you’re familiar with the saying, “Everything I needed to learn I learned in kindergarten,” you know that the preschool-kindergarten years are when children acquire skills they will use throughout their lives. In CID’s comprehensive early childhood educational program, children who are deaf and hard of hearing develop the speech, language and listening skills they need to be successful in the world. They also develop the early literacy, pre-academic concepts and social skills they will need for future academic success. Our exciting preschool program for 3- and 4-year-olds is adapted from nationally recognized general education preschool curricula that emphasize language, early literacy, social and motor skills. Then, at age 5, our kindergarteners receive individualized instruction in listening, speech and language as they gain knowledge and skills outlined by the Missouri Common Core State Standards. Through years of experience teaching children who are deaf and hard of hearing to listen and talk, CID’s teachers expertly assess and provide individualized instruction to help each child reach his or her potential. The CID Anabeth and John Weil Early Childhood Center includes children with typical hearing who learn alongside their peers who are deaf and hard of hearing. Hearing peers serve as models for natural language, social interaction and behavior. Our superb, caring staff understands how children grow and develop, and provides the experiences necessary to promote the development of the whole child. The children have fun learning in a colorful, child-friendly educational environment designed with their needs in mind. Our teachers have master’s degrees in deaf education, early childhood education and related specialties. If you are interested in learning more about early childhood education at CID, please contact us through a GET STARTED link or feel free to reach me directly by phone or e-mail. CID preschoolers learn conversational language and social interaction through play. The CID pre-k is a place where children learn. Our teachers keep a busy schedule that includes auditory learning, language and speech as well as creative movement, music, early literacy experiences, pre-academics, early computer use and social skills development. The daily schedule is designed to provide a series of instructional settings. Structured settings focus on intensive instruction of listening, language and speech skills in small groups of 2-3 children. Additional direct language instruction occurs in groups of 4-6 to promote the skills associated with listening and conversing in a group. 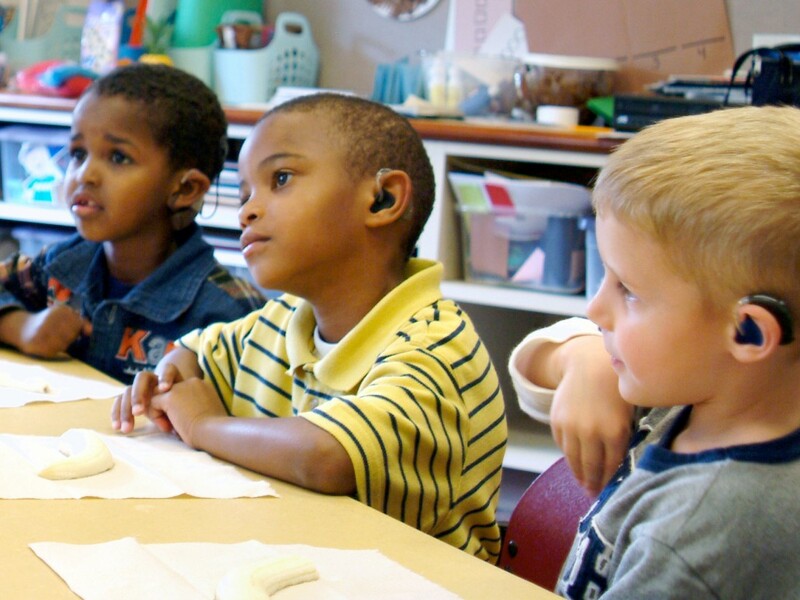 In addition, during a centers-based language period, larger groups of about 20 students practice using all of their listening, language, speech and social skills. This helps them prepare to make the transition to a larger general education setting. Listening, language, speech and reading are the foundation for our students’ later academic success. The CID pre-k program emphasizes the development of listening, language and speech skills necessary to achieve literacy. Read-aloud stories and creative, real-world activities involving phonemic awareness, alphabet knowledge, print awareness and print conventions ensure students are ready to read when they begin academic instruction at the kindergarten level. 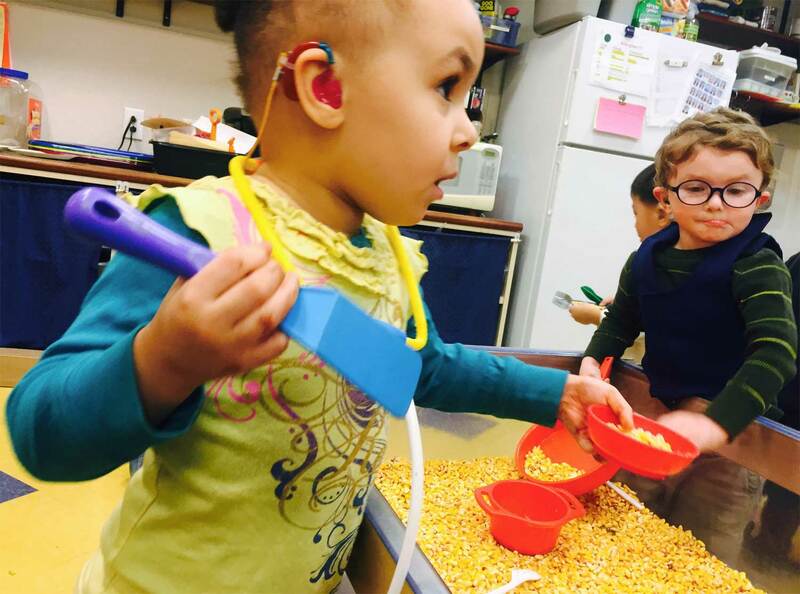 At CID, preschoolers who are deaf and hard of hearing benefit from natural language, speech and social models their typically hearing peers provide. Every student benefits from individual attention from highly trained staff, a language-rich environment, a low teacher to student ratio and opportunities to interact with a diverse group of peers. All of the children receive instruction from master’s level teachers of the deaf and an early childhood educator in a loving, colorful, child-friendly, print- and language-rich environment. The teachers are supervised by a master coordinating teacher with many years experience teaching children who are deaf and hard of hearing to listen and talk. 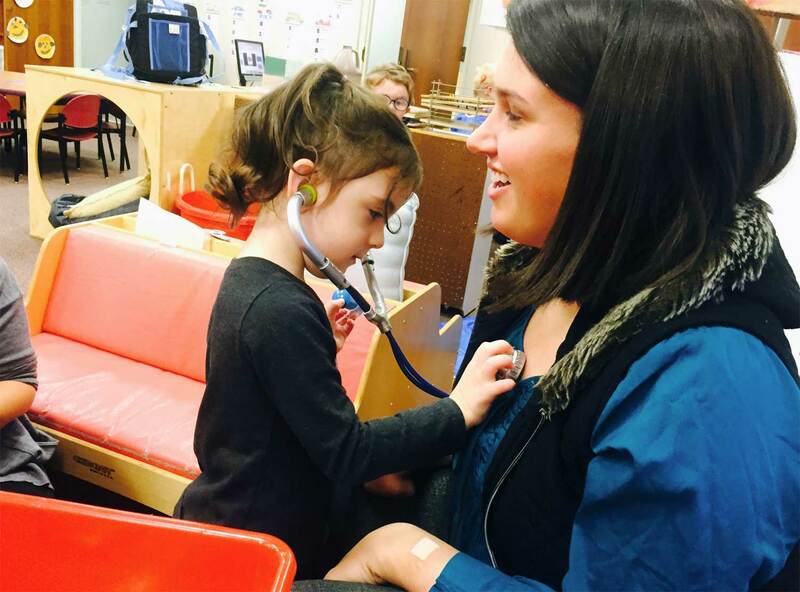 The teachers work together with expert on-site audiologists, speech-language pathologists and an occupational therapist to help ensure an optimal learning situation for each child. A state-of-the-art computer SmartBoard in every pre-k classroom helps our teachers foster early computer skills and provides the children unlimited additional interactive learning opportunities. Parents are, of course, our teachers’ most important partners in their children’s education. Parents are invited to observe and participate in the classroom and to communicate often with the teachers and department coordinator. The teachers provide useful language activities to do with their children during everyday activities at home to support their progress. The children and teachers welcome one another with the “Hello Song” to a large circle of greeting, sharing, trusting and belonging. The children explore the week’s theme through a variety of activities emphasizing the use of language, pre-math skills and alphabet knowledge. They learn the days of the week, months, seasons, etc. The children gather in small, ability-based groups where they practice understanding and using specific vocabulary, phrases and sentences. Teachers use toys, games and small group activities to keep them motivated while promoting language development. The children explore the joys of movement while developing motor skills and body awareness. Instruction focuses on encouraging each child’s creative process, using imagination and energy to move intuitively and spontaneously. During conversational language, the children enjoy a snack while they practice using the language skills they’ve acquired in a more structured setting. Through a variety of language-based preschool activities, the children develop conversational, play and group skills. To provide opportunities for children to experience typical preschool settings and activities, the Pre-K Discovery Room looks and functions like any other good-quality preschool classroom. The room is divided into different areas such as art, blocks, dramatic play, book corner, sensory table and writing. The teachers observe and facilitate the children’s use of social language while tracking and monitoring their pragmatic language abilities. Further direct instruction focuses on the skills they need to be successful in regular education settings. This period is supervised by Washington University School of Medicine graduate students working on advanced degrees in deaf education and audiology. After lunch, the 3-year-olds nap with a favorite stuffed animal; the 4- and 5-year-olds run, jump, climb, play with balls and engage in group games and activities to develop physically and socially and to build confidence. As they enjoy a wide variety of wonderful children’s stories promoting cultural diversity, family, self-esteem and other values, the children develop cognitive and language skills. They make predictions, recall story events, relate the story to their own lives and retell or act out stories. The children engage in projects and activities that extend the stories, build comprehension and provide more opportunities to improve language. The children sing, move to music and play with musical instruments. The children move into classrooms in small groups for targeted work to develop speech and listening skills. The children engage in a variety of typical preschool activities that stimulate and challenge their thinking and problem solving skills as they explore a weekly theme. The children participate in free play to foster the development of play skills, social skills and motor skills. The children gather to reflect on and discuss what they learned during the day before being dismissed. A strong, language-based curriculum: Competent language skills are the strongest predictor of future reading ability and academic success. A whole child curriculum: Children with typical hearing participate alongside children who are deaf and hard of hearing in a dynamic interactive program that features the best of mainstream preschool education while focusing on early childhood development. An exceptional student-teacher ratio: CID pre-k/kindergarten classes take place in a blended setting (typical hearing + hearing impaired) with better than a 5:1 student-teacher ratio. This ensures ample individualized attention for each and every child. Master teachers: Our teachers are highly trained and experienced in early childhood development, teaching through play and helping children develop listening, language, speech, pre-reading, pre-academic and social skills. Warm, child-friendly, language-rich environment: Our teachers bring energy, enthusiasm, warmth and understanding into our colorful space designed specifically to meet the needs of preschoolers and their families.The daily schedule includes circle time, music, creative movement, art, children’s literature and small group exploratory learning. For more information, please contact Lynda Berkowitz 314.977.0120. Children grow and learn in CID kindergarten. We prepare each child for success in a general education environment by providing individualized instruction to develop listening, language and speech while focusing on all areas of academic development based on Missouri Common Core Standards. As children begin formal education, the CID kindergarten provides a language- and literacy-rich environment fostered by play and social skill development. Teachers keep a busy schedule that includes auditory learning, language, speech, reading, math, science, social studies, music, gym, computers and art. The daily schedule is designed to provide a series of instructional settings for language development. Structured settings focus on intensive instruction of listening, language, speech, reading and writing skills. In science, social studies and math lessons, children practice conversational skills revolving around specific kindergarten concepts. 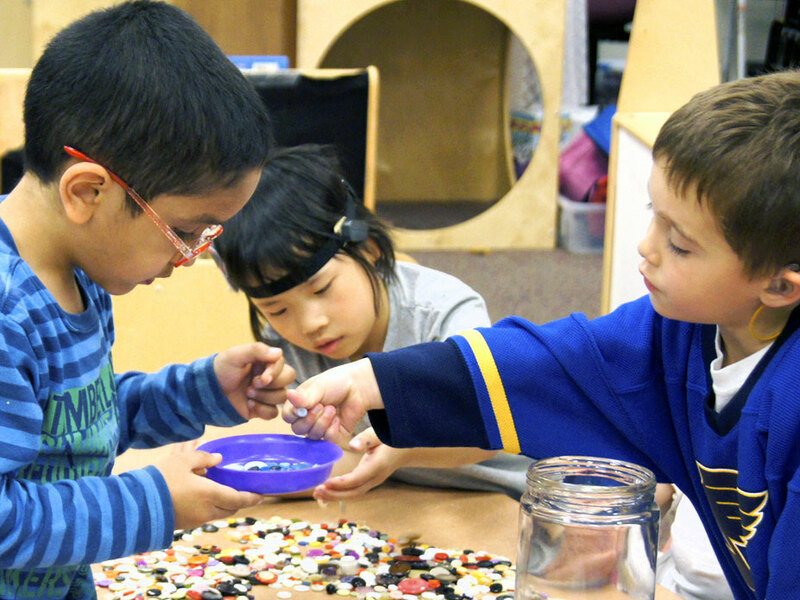 In addition, during a centers-based language period, the students practice using their listening, language and speech skills in a larger group as they engage in play-based activities to explore kindergarten concepts. Listening, language, speech and reading are the foundation for our students’ later academic success. The CID kindergarten program emphasizes the development of listening, language and speech skills necessary for achieving literacy. All of the kindergarteners receive instruction from master’s level teachers of the deaf and an early childhood educator in a loving and respectful environment. Teachers are supervised by a department coordinator who is a master teacher with many years of experience teaching children who are deaf and hard or hearing to listen and talk. The teachers work together with expert on-site audiologists, speech-language pathologists and an occupational therapist to ensure an optimal learning situation for each child. A state-of-the-art computer SmartBoard in every kindergarten classroom helps our teachers foster early computer skills and provides unlimited additional interactive learning opportunities for children. Parents are, of course, our teachers’ most important partners in their children’s education. Parents are invited to observe and participate in the classroom and to communicate often with the teachers and department coordinator. Teachers begin the day by welcoming the children and parents and taking attendance. The children unpack their lunches and put away their belongings while the teachers check their devices to ensure optimal access to sound. Each child engages in a brief morning activity such as independent reading, a puzzle, a journal or a math activity. The children and teachers welcome one another with a song and prepare for a great day at school. During the calendar activity, the teachers integrate areas of reading, writing, technology, math, science and social studies. The class discusses weather, days of the week, months of the year, patterning, odd and even numbers, counting by ones and tens, weather and temperature. Reading ability is highly correlated with success in school and success in life. Kindergarten literacy instruction is targeted in a 75-minute reading/language arts block as well as throughout the school day. The students receive direct instruction in the five crucial areas of literacy: phonological awareness, phonics, vocabulary, fluency and comprehension. The CID kindergarten reading curriculum is based on the Missouri Common Core Standards for English Language Arts and Literacy. This is composed of the following categories: reading standards for literature, reading standards for informational text, reading standards for foundational skills, writing standards, speaking and listening standards and language standards. The children run, jump, climb, play with balls and engage in group games and activities to develop physically and socially and to build confidence. The children gather in small, ability-based groups where they practice understanding and using specific vocabulary, phrases and sentences. Vocabulary is selected from all areas of the kindergarten curriculum, including literacy, math, science and social studies. Teachers use games and age-appropriate activities to promote language development. The children engage in activities to develop the whole child, including gym class, arts classes and social skills activities. The children are supervised by Washington University School of Medicine graduate students. After lunch, the children run, jump, climb, play with balls and engage in group games and activities to develop physically and socially and to build confidence. The relationships among language, cognition, play and literacy are well-documented in educational research. The language and cognitive skills developed through play lead to higher achievement in literacy. 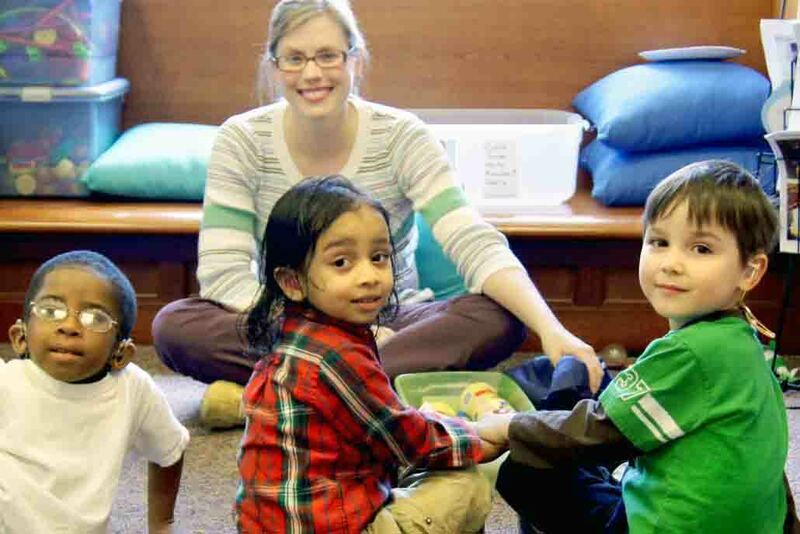 During this large-group centers time, children engage in creative dramatic play activities fostering listening, language, speech, social skills and cognitive development. Through pretend play, the children develop memory skills, theory of mind and complex language. Children also participate in centers that provide practice for academic standards including phonics, reading, writing and math. The children sing and move to music and play with musical instruments. The children engage in language-focused lessons with emphasis on Missouri Common Core Standards for math. The children engage in language-focused lessons with emphasis on Missouri Grade Level Equivalent standards for science and social studies. Lynda Berkowitz, MS, CED, LSLS Cert. AVEd has been coordinator of early childhood education (pre-k/kindergarten) at CID since August of 2004. 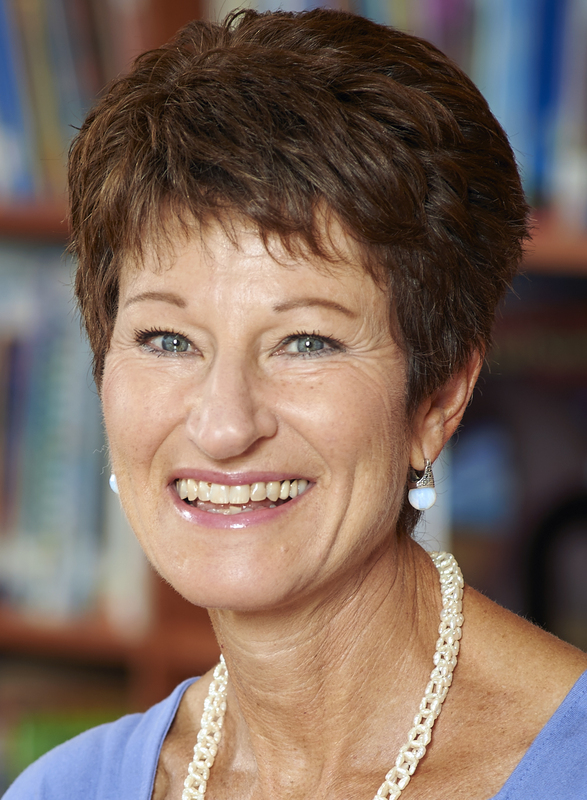 She was named co-principal of the CID school in 2006 and became principal of the CID school in 2016. Mrs. Berkowitz has more than 30 years experience in the field, starting as a teacher of the deaf at CID (ages 3–5 and 10–11). Later, she worked as a parent educator for the Ladue School District Parents As Teachers program. Along with her undergraduate degree in elementary education, she received highest university honors from the University of Illinois, Champaign. Later, she earned her master’s degree in deaf education from Washington University/CID, where she received an Antoinette Francis Dames Award for Outstanding Scholarship. In the CID Family Center from 1997 to 2004, Ms. Berkowitz worked with families of newly diagnosed babies and toddlers and taught 2-year-olds beginning speech, language and listening skills. She also implemented a Parents As Teachers program, presented parenting lectures and led parent support groups. 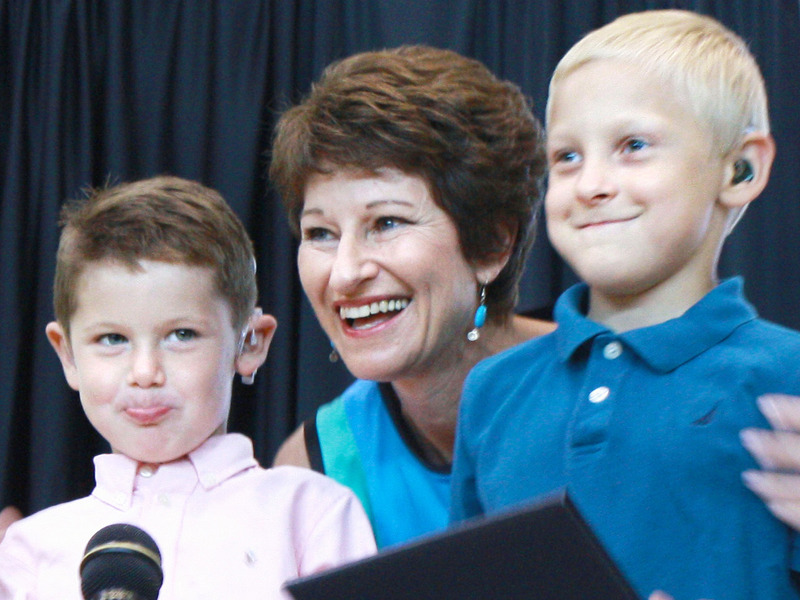 She holds Parents As Teachers certification and professional certification from the Council on Education of the Deaf. 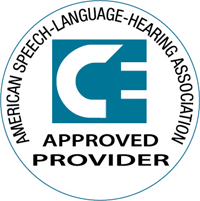 She is a certified Listening and Spoken Language specialist. Mrs. Berkowitz serves on the faculty of the Washington University School of Medicine Program in Audiology and Communication Sciences (PACS). As an instructor in this CID at Washington University School of Medicine program, she helps guide and develop curricula for graduate students who will be future teachers of the deaf. Mrs. Berkowitz has given presentations at the international conference of the Alexander Graham Bell Association for the Deaf and Hard of Hearing. She has written for Volta Voices magazine on helping young children who are deaf learn listening and spoken language.